Penny Allen's insightful research reveals wide provision, serving both the arts and care sectors, and poses some important questions about what more needs to be done to support the delivery of high-quality arts in this setting. 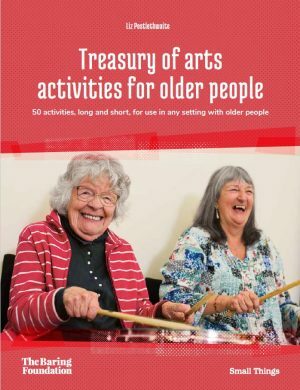 More and more projects and arts venues are engaging older people in cinema, whether dementia-friendly screenings or participatory art workshops drawing on the love of film that many of us have. David Cutler reviews some recent projects. 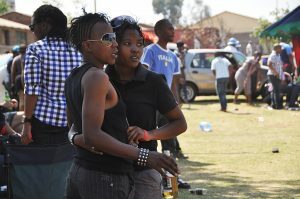 Pan-Africa ILGA is convening its 4th Regional Conference in Botswana, this week with a focus on supporting the development of the LGBTI youth movement in Africa. Richard is the co-Chair and is interviewed here. In Dementia Awareness Week, Nick Serota says we must make sure that these threads are sustained through later life. ‘Bed’, devised and performed by Entelechy Arts Elders’ Company, went on tour to Southbank Centre's (B)old festival last week. Baring Foundation trustee, François Matarasso, writes about the piece. Our International Development programme has just made its first grants in West Africa to address discrimination against LGBTI communities. The Foundation’s Deputy Director, David Sampson, explains why. Be More Us – and artfully! David Cutler welcomes the new Be More Us campaign to encourage the small moments of human connection which can make a big difference all of us, and which the arts are particularly good at facilitating. 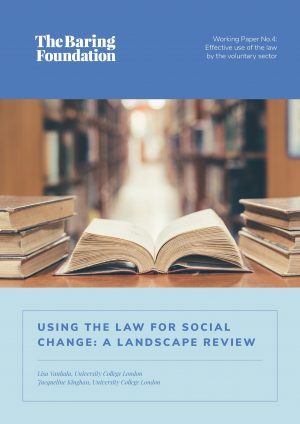 Funders can model the change they want to see, says the Chair of the Independent Inquiry into the Future of Civil Society.